Discover the beautiful Chianti region of Tuscany on a half-day wine tasting tour from Florence. Drive through the charming countryside to visit premium wineries and sample some of the region’s best wines such as DOCG, IGT, and Super Tuscan varieties. 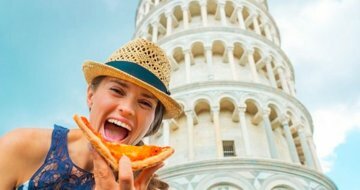 After a delicious Tuscan lunch, head to the university town of Pisa to snap some photos of the famous Leaning Tower.